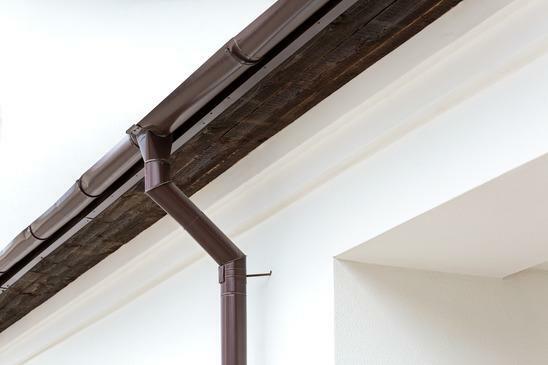 When's the last time you looked up at the gutters on your home? Was it during the fall when they were clogged with leaves? In the winter when they were filled with icy slush and ice? Have you taken the time to peer into your gutters lately to check their condition and whether they're functioning as they should? The gutters on your home aren't self-sufficient and may give you a rather significant repair bill if you don't take care of them with some regular gutter maintenance. Water in the basement: Water accumulation at the basement level may eventually lead to flooding in your basement. What a mess that would make if your basement was a finished space with exercise equipment or an entertainment center! Weakened foundation: Water is an exceptionally strong force on our planet and enough water can rock the foundation of your home causing cracks and weakening. When the winter rolls around, water that turns to ice can cause the foundation to split. Wood rot: The wood that surrounds a home on its walls is called the fascia, and water does terrible things to this part of the home. Extended leaks and the invasion of water may cause buckling of the ceiling and significant damage to the home's walls. Did You Know: The number one reason basements fill with water isn't flooding. It's malfunctioning gutters. There are a few items to cross off your list when looking at gutter maintenance. The first priority in gutter maintenance is keeping them free of debris. You can use a hose to push debris out of the gutters. Don't assume that the fall is the only season when the gutters may fill up with leaves and other debris. Leaves fall all year long, even in the spring and summer. You'll also want to use the hose to spray the vertical section of the gutter to make sure it's clear. Once the pipe is clear, take a look at where the water lands when it exits the pipe at the base of your home. The end of the gutter should be angled in such a way that the water doesn't land next to the house and pool at the foundation. Gutters may sit next to power lines, trees, and other hazards. If you're uncomfortable mounting a ladder to clean your own gutters, call a professional! Also, never sit on the roof to clean the gutters. Always use a ladder instead to reach them safely. Gutters don't last forever, and all the maintenance in the world can't keep them from eventually needing replacement. Talk to the professionals at Elbert Roofing about updating your gutters and making sure they're doing their job to keep your home safe. Want a free inspection? Call us at 1-317-653-5012 for a free inspection and estimate on your home's gutters.